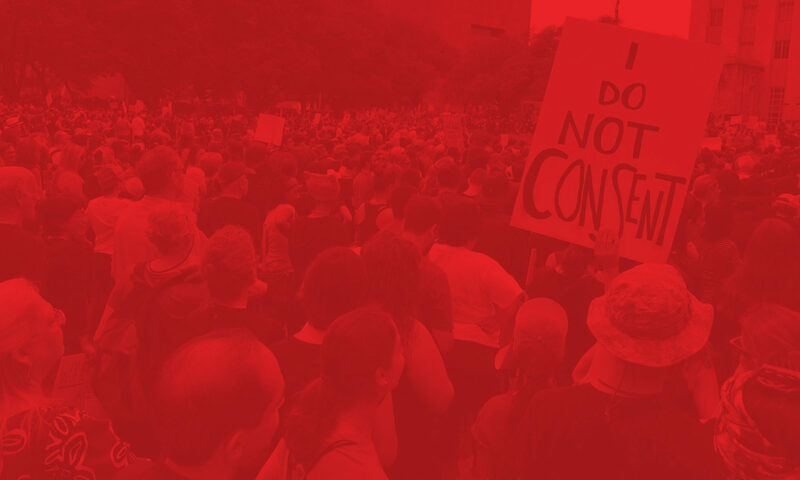 Sign up below to set up a monthly recurring donation to Houston DSA. Monthly donations give our chapter a reliable, steady source of income that helps us organize long-term. One-time donations to Houston DSA may be made using the form below. We appreciate your support! Does this replace my membership dues to DSA National? No — chapter donations are an optional contribution made in addition to your national membership dues. In order to remain a DSA member in good standing, make sure your national dues remain up-to-date. 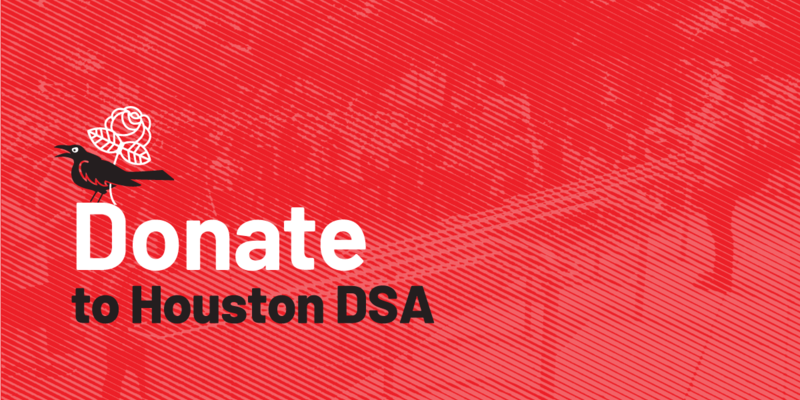 To inquire about your membership status, please email info@houstondsa.org. Do I have to make chapter donations to be a member of Houston DSA? No — chapter donations are entirely voluntary. We offer this as a convenient way for members to financially support our local’s operations. How long does a monthly donation subscription last? Recurring monthly donations will continue indefinitely. To change your donation level or to cancel, please email info@houstondsa.org. Chapter funds are used to cover the myriad costs of organizing and running a growing political organization: reserving meeting spaces; covering server fees and platform costs; producing printed materials, t-shirts, and other outreach supplies; feeding volunteers; etc. Our budgeting process is open and transparent to our membership.